A case filed against Hambantota district Parliamentarian Namal Rajapaksa and five others for their alleged involvement in laundering money amounting to Rs.30 million through Gowers Corporate Services, was fixed for November 29 by the Colombo High Court. Four accused Namal Rajapaksa, the eldest son of former President Mahinda Rajapaksa, Nithya Senani Samaranayake, Sujani Bogollagama and Iresha Silva who functioned as the directors of Gowers Corporation were present in court when the case was taken up before High Court Judge Piyasena Ranasinghe. 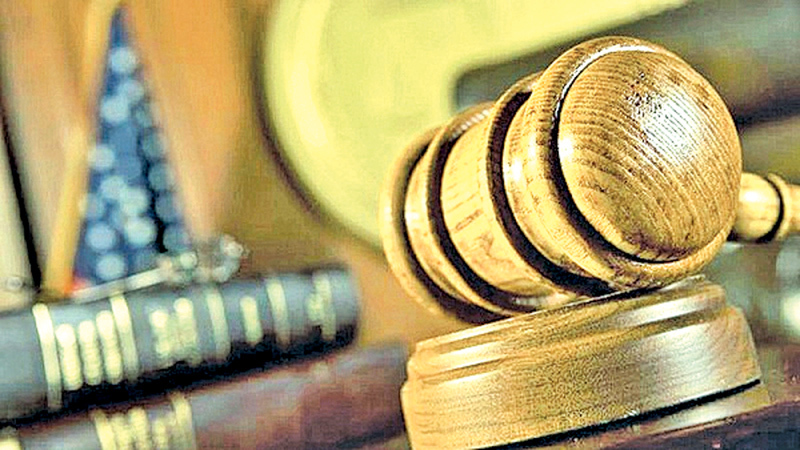 However, the second accused Indika Karunajeewa was not present in Court but represented by an attorney.Defence counsel Jayantha Weerasinghe PC appearing on behalf of Namal Rajapaksa moved Court that the trial date which had been fixed for February 16 previously be re-fixed for April 4. He said President’s Counsel Gamini Marapana is expecting to appear on behalf of Namal Rajapaksa and he has requested a trial date on April 4. The High Court is to consider this request on November 29.At a previous occasion, the High Court permitted the prosecution to proceed the trial in the absencia of second and sixth accused in the case in terms of section 241 of the Criminal Procedure Code. At a previous occasion, the Colombo High Court had served indictments on three accused regarding this money laundering case. The Attorney General had filed indictments against Namal Rajapaksa, Indika Karunajeewa, Sujani Bogollagama, Iresha Silva, Nithya Senani Samaranayake and Gowers Corporate Services (Pvt) Limited on 11 counts under the Prevention of Money Laundering Act for their alleged involvement in money laundering amounting to Rs.30 million in a company (Gowers Corporate Services (Pvt) Limited) owned by Namal Rajapaksa between 2013 and 2014. It was reported that Gowers Corporate Services (Pvt) Limited of Colombo 5, is providing coordinating services to Sri Lankan Airlines. The FCID had initiated investigations into this matter following a complaint by Voice Against Corruption Convener Wasantha Samarasinghe. Samarasinghe alleged that MP Namal Rajapaksa had bought shares of a company named Hello Corp and set up a company called Gowers Corporate Services (Pvt) Limited while being an MP from the Rs.125 million earned through illegal means. State Counsel Padmal Weerasinghe appeared for the Attorney General.